COLUMBUS — When a multi-defendant capital crime occurs in a county with limited resources, local officials may be unable to seek justice because of the extraordinary cost of prosecuting such a case. Last week, Ohio Auditor Dave Yost was joined by Sen. Bob Peterson and Rep.Shane Wilkin to call for legislation to address the financial strain on a community brought on by cases involving multiple victims and defendants. 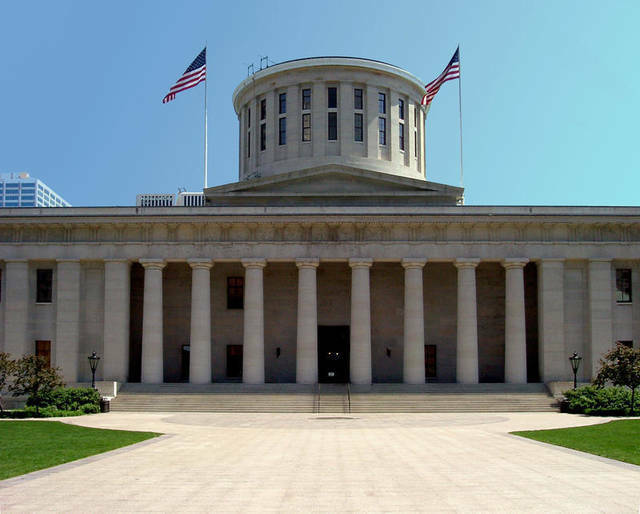 “The April 2016 capital case involving the murders of eight family members in Pike County illustrates this problem that could occur anywhere in Ohio,” said Yost during a news conference at the Ohio Statehouse. “Justice should not be dependent on the ability of the county government to cover the costs of prosecution and defense.” Six people have been charged in connection with the Rhoden family homicides in Pike County. Funds would flow to the local government through the Public Defender and the Attorney General, as appropriate, and all other processes would remain the same. Prosecution authority remains with the local county prosecutor, not with the Attorney General. The trial judge would retain authority to review and approve expenditures of the money approved by the State Controlling Board.